Different drawings of new ships in ice covered waters: The front page of 127-page 2018 Expedition Market Report published by Cruise Industry News leaves no doubt, the Arctic is hotter than ever for the most well-paying customers. With four new ships to be launched this year, the cruise industry enters a booming period of at least four years. In 2019, 11 new expedition ships adds to the fleet and by 2022, the total number of new special designed expedition ships will reach 28 additional to those nearly 80 already sailing. In difference, most of the new-built vessels have a higher ice-class and will offer tours deeper into Arctic far-away destinations than the current fleet. Some of the new ships has Polar Class 5 and one even has plans to be the first to offer non-nuclear powered voyages to the top of the world, the North Pole. The reports sums up the business model as simple: Sail to very unique places, like Antarctica and the Arctic, and charge an extremely high ticket price while offering an exclusive and safe sense of adventure. A decade ago, the Arctic cruise market was with a few exceptions dominated by Russian icebreakers and research vessels, the future offers much more comfort, flexibility and environmental friendly operations. Like Ponant’s current new-buildings of an LNG-powered icebreaker. Or Hurtigruten’s introduction next year of the first hybrid ship that can run on battery power for shorter periods of a voyage. With a relatively short sailing season, lasting from June to late August, Arctic ports like Longyearbyen on Svalbard will likely be very crowed by 2022. Other destinations in the fast growing expedition markets are northern Norway, Russia’s Franz Josef Land, Iceland, Greenland, Canada and Alaska. Voyages along Russia’s Northern Sea Route by international expedition operators are still yet to be announced. 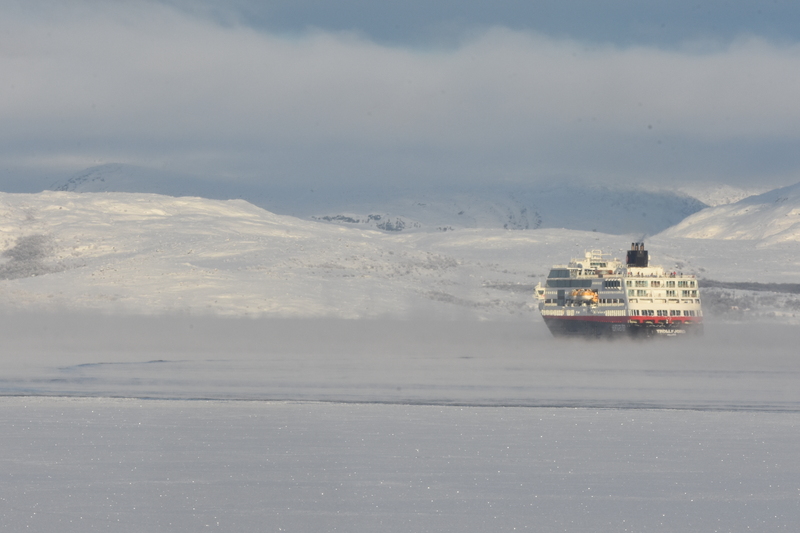 Hurtigruten, who have been sailing the coast of Norway for the last 125 years, says it by 2021 will have more ships doing expedition cruises compared with the years-round coastal operations from Bergen to Kirkenes. To be launched next spring, Hurtigruten’s new hybrid 530-guests ship «Roald Amundsen» will sail the Northwest-Passage after first sailing the coast of Norway with start in Hamburg. Counted in passenger capacity, Hurtigruten is already the largest expedition ship operator followed by Ponant, Australis and Lindblad, according to the Cruise Industry News’ market overview. A new trend for cruise operators in Arctic waters could be winter voyages. Trey Byus, chief expedition officer at Lindblad Expeditions says a team from the company visited Svalbard in mid-March and got very impressed by the northern lights and pristine landscape. «Being there in March was like going to outer space,» Byus told Cruise Industry News. Although sailing with state-of-the-art safety equipment and emergency survival gear, the fast-growing number of voyages into remote Arctic locations worries search-and rescue (SAR) authorities. Last winter, Norwegian and Russian emergency preparedness agencies met for a table-top exercise on how to evacuate a 200-passenger vessel in ice waters. The new Polar Code for Arctic ship operators requires ships to have lifesaving equipment that ensures a minimum of 5 days survival time while waiting for external rescue. Next week, on May 30, Norwegian and Russian search and rescue units will have the joint exercise «Barents-2018» in the maritime border areas off the coast from Finnmark and the Kola Peninsula.